Central Highland (Tay Nguyen), a one of the regions in Vietnam with 5 provinces, is a plateau located in the central part of Vietnam. It is home to a large population of ethnic minorities such as Ede, Bana, Giarai,etc. Therefore, there are a lot of impressive traditions and cultures that highlight special features of Highlanders. 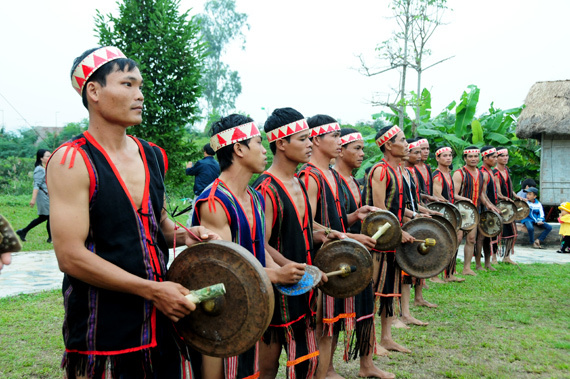 Goong culture is a masterpiece of the intangible heritage of ethnic minority people in Tay Nguyen. Goong is a music instrument made by bronze, mixed with silver or gold. It is usually played in every festival and ceremony here as a privileged language between men, divinities and the supernatural world. There are different kinds of goong with varied sizes, materials and even techniques. Different arrangements and rhythms are adapted to the context of the ceremony, for example, the ritual sacrifice of bullocks, mourning rites and harvest celebration. Goong has become an attractive and appealing symbol of the culture of the Central Highlands. It is an activity associated with cultural and spiritual life, and beliefs of ethnic people when they are born, grown up and return to the soil. People in Tay Nguyen believe that death is a fresh start in spiritual world. And they made Shielding Grave Statue as the gifts for dead people. These statues are about people, animals and stuffs, reflecting daily activities, working activities. They are put around the graves which are built as a small house. The statues show the love and respect for the dead people. Shielding Grave statue is a unique spiritual culture identity of the Highland community. It combines with grave house, making amazing art-working, including architecture, sculpture, art and decoration. 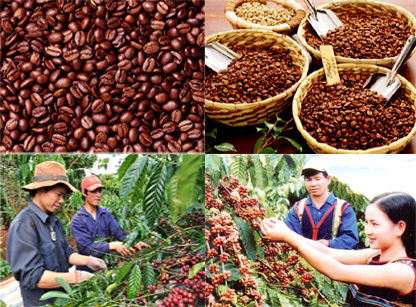 Tay Nguyen is coffee land, with thousands hectare of Arabica coffee trees. And enjoying a cup of pure coffee grown from this fertilize land is an unforgettable memory in your life. Especially, you can visit interminable coffee fields and hills and watch the coffee-making procedure. 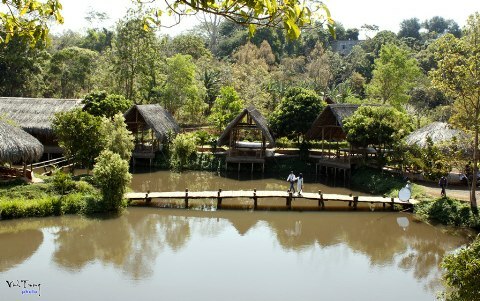 Ako Dhong, an ancient village of Ede people, is located in Buon Me Thuot city, Dak Lak province. This is a village famous for its prosperity, and is often called “The village of tile-roofed houses” or “Ama Rin Village”. 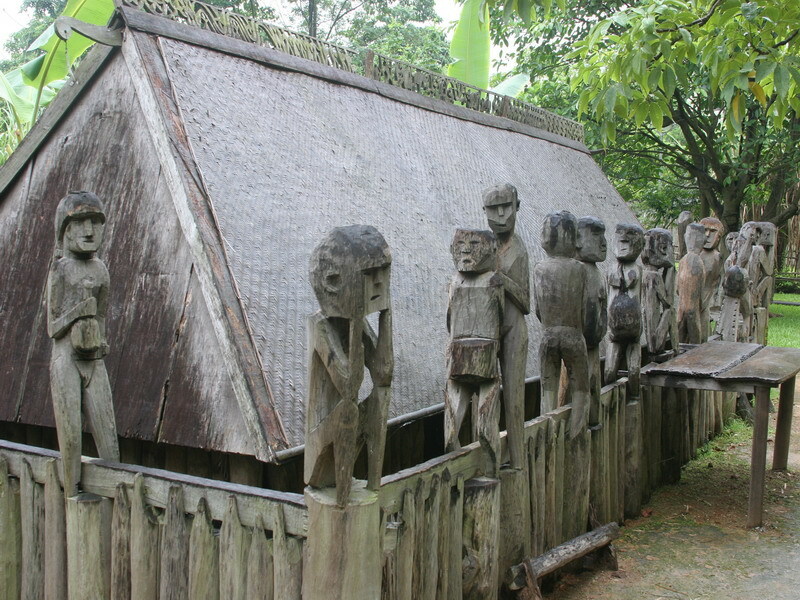 The village was set up by Ama Rin for a long time ago, with the featured longhouses of Ede ethnic group and a beautiful picturesque green landscape around. Besides, the village still preserves traditional customs as well as traditional craft such as weaving or brocade. Located about 50km to the North-west of Buon Me Thuot city, Don Village has long standing fame for elephant hunters and trainers. The village is also situated on the side of Serepok River and Yok Don National Park. 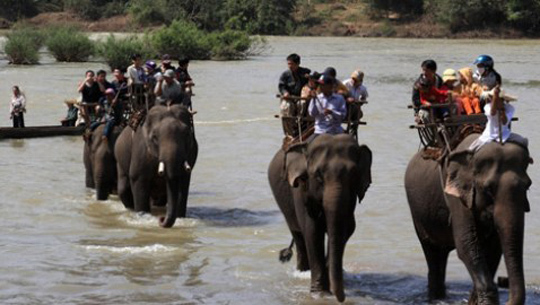 You can sit on an elephant to explore Yok Don National Park or ford cross the Serepok River. Besides elephants ride, there are a lot of other activities for you in Don village, such as homestaying at stilt houses, canoeing on the dugout canoe crossing Serepok River to seven-branch waterfall, enjoying Can wine and exploring traditional customs and cultures of ethnic minority community. 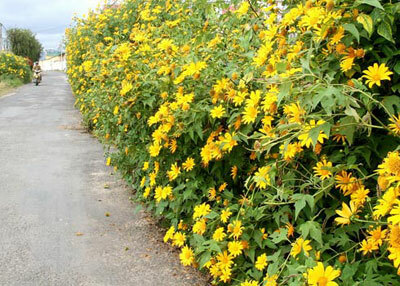 November is the ideal time to visit Tay Nguyen because this is the blossoming time of Mexican sunflower. These yellow flowers present in every streets or corners, even on the hills and valley, creating a poetic and stunning beauty of Tay Nguyen. At the beginning of January, Tay Nguyen turns to a bright red and yellow color of fallen leaves of India rubbers. 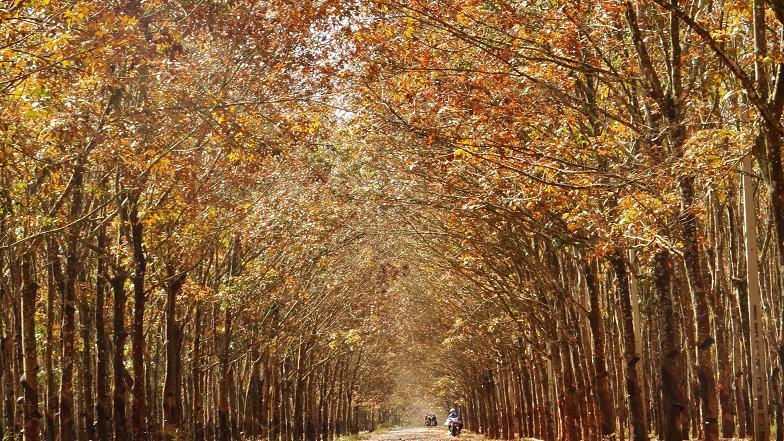 Under the cool weather of highland, the India rubber forests turn to red and drop their red leaves into the ground, make you feel like you are in Europe in autumn. In March, Tay Nguyen turns to a pure white of blossoming coffee trees. 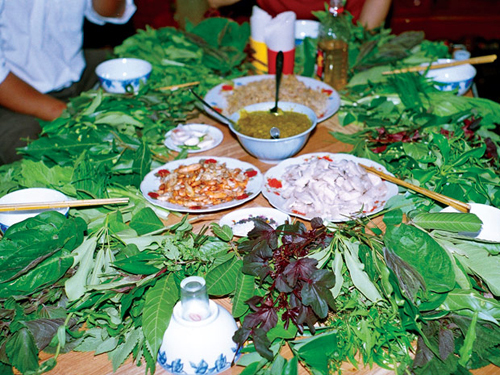 If you visit the province of Kon Tum (on the north of Tay Nguyen), you should try a traditional salad call “Goi La” (Leaves salad). The salad is made from 40 kinds of leaf, taken from Tay Nguyen’s forests. These leaves are eaten with roasted shrimp or boiled pork, with some other local ingredients. 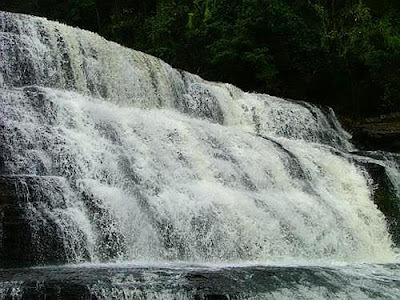 This highland has many imposing waterfalls for you to explore, including Yaly waterfall (Yali commune, Sa Thay district, KonTum province), Thuy Tien waterfall (Tam Giang town, Krong Nang district, Dak Lak province), Dieu Thanh waterfall, Ba Tang waterfall (Dak Nong province), Krong Kmar waterfall, Gia Long waterfall, Đray Nur waterfall, Đray Sáp waterfall (on Serepok River, Dak Lak province),etc. How to get Vietnam Visa from Belgium?